First up is a Western-feel card that would be great for Father's Day, Birthday, or just to let someone know you care and are thinking of them. The sentiment is from "From the Heart" and is embossed with White Embossing Powder on Natural White Cardstock, then Baked Brown Sugar ink is sponged over the whole panel to create a leathery look. The panel is layered onto Cajun Craze. 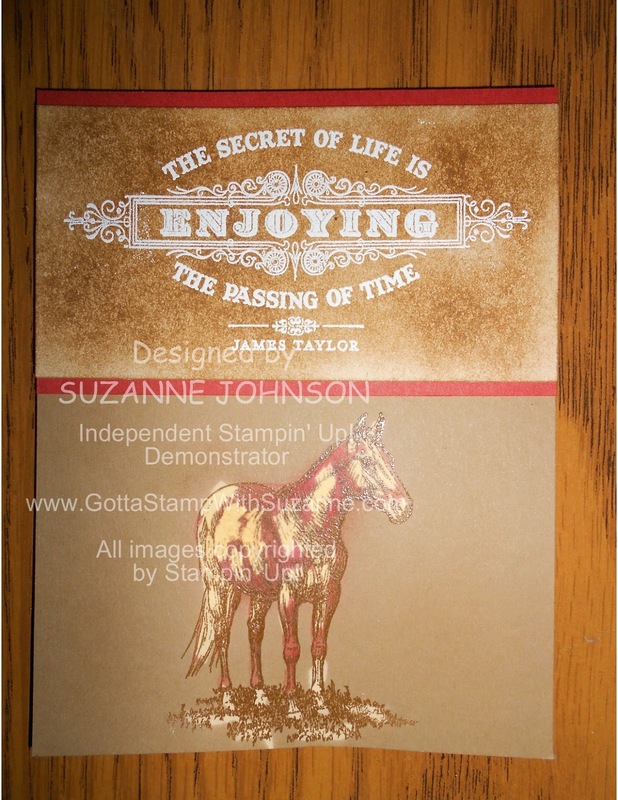 The horse is from "Horse Frontier" and it is embossed onto Baked Brown Sugar cardstock with Clear Embossing Powder. It actually looks great to leave it that way - the clear powder creates a color contrast with the cardstock. I stepped it up by first sponging the horse with Cajun Craze, then very very very carefully painting over parts of the horse and grass with bleach. I am warning you, try this on a scrap before you work this technique on your card! I barely touched the very tip of a brush barely dipped in bleach to the card and a moment later, whoosh! The ink bleached out. A very little bleach (I really cannot emphasize "very little" enough) does the job. I sponge-buffed a touch of Baked Brown sugar over some of my bleached areas on the horse. 2.5 pt. with bleach painting or 2 for embossed & sponged only. This next card is quick and easy! It has a Father's Day sentiment, but you could change that to a different occasion. 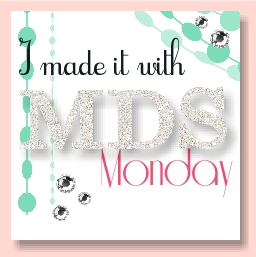 The words stamp is from "Teeny Tiny Wishes" and that set has something for every holiday and occasion! 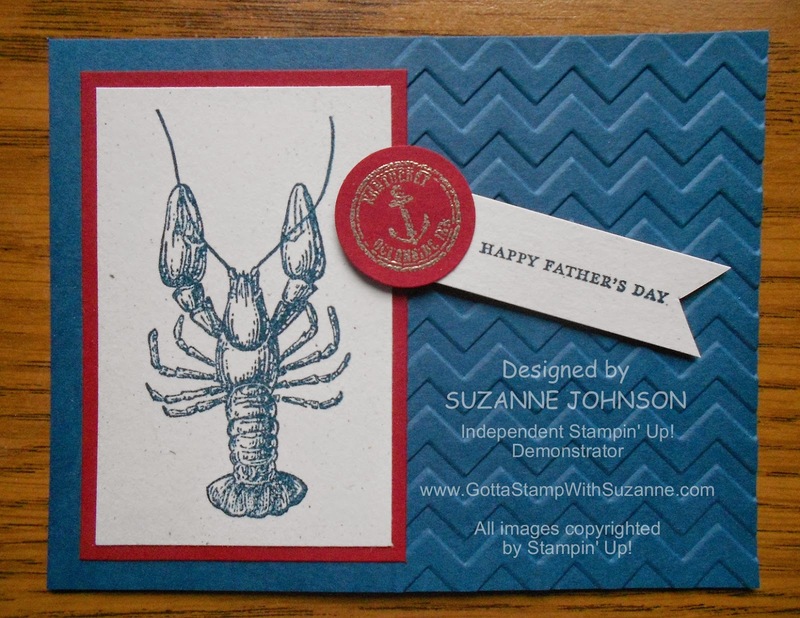 The lobster ("By the Tide") is stamped in Midnight Muse to match the background cardstock, which is texturized with the Chevron Embossing Folder and the Big Shot. 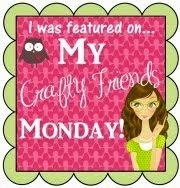 The contrast color is Cherry Cobbler, however Raspberry Ripple looks great too. The little medallion is also from "By the Tide" and heat embossed with Pewter Embossing Powder, punched with the 1" Circle Punch.